Vegetarian Adaptation: Sorry, guys… this one’s pretty meat-centric! Add the pork, minced garlic, oregano, cumin, vinegar, salt, and pepper to the slow cooker and stir to coat and distribute. 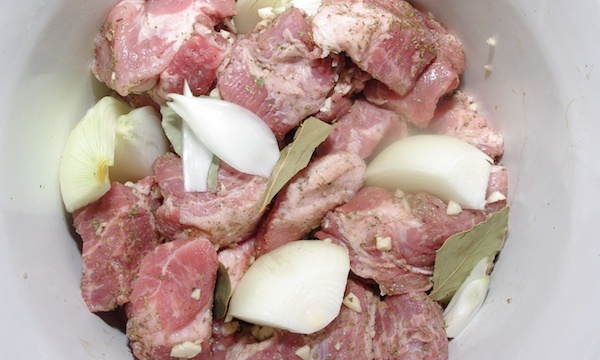 Add the onion quarters and bay leaves, distributing throughout the pork mixture. Slower cooker goodness ready for the heat. 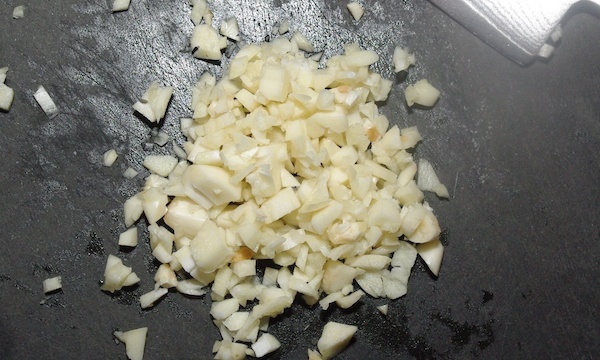 Cover and cook on the “Low” setting of your slow cooker for six hours, stirring once during cooking if possible. Once the meat is all cooked (and deliciously tender! 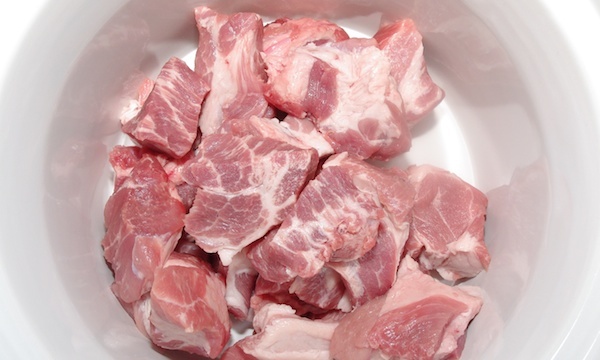 ), use a slotted spoon to transfer the pork to a plate. 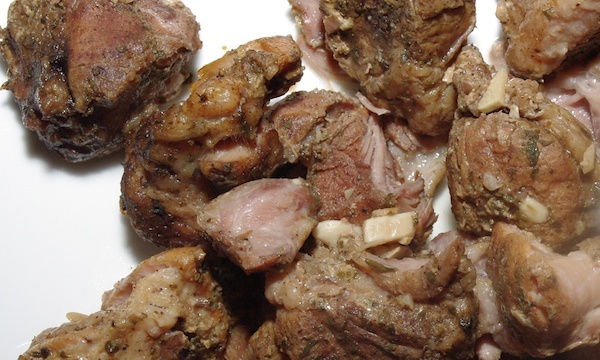 Use two forks to shred the meat. All done! 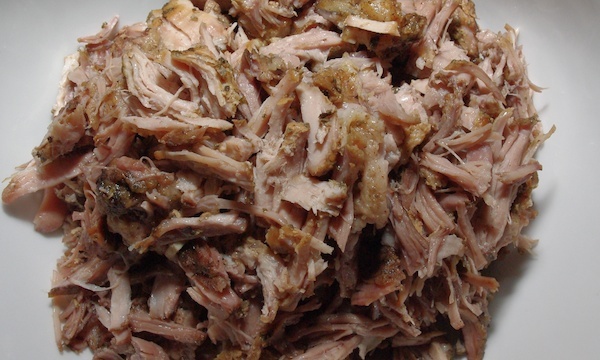 Slow-cooked pork ready for shredding. The final product... paleo slow cooker carnitas. I served this with a few slices of fresh avocado and a squeeze of lime to give it some tang. Yum! Even better, I’ve got leftovers for days! 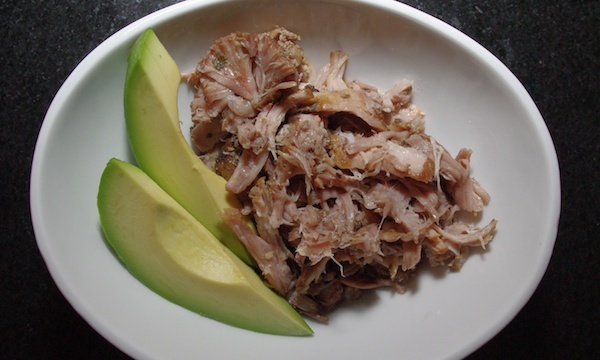 Some delicious carnitas with a couple of slices of avocado! Beautiful photos and great recipe, I can’t wait to try this! Nope – just that splash of vinegar. The veggies and meat release a lot of liquid as they cook. Hope you like it! I can’t wait to try this! How big is your slow cooker? Thanks, Ashleigh! How did it turn out? 🙂 I honestly cannot for the life of me remember how big my slow cooker is. That said, it’s not an oversized one – I think it’s pretty standard. Hope it turned out great!